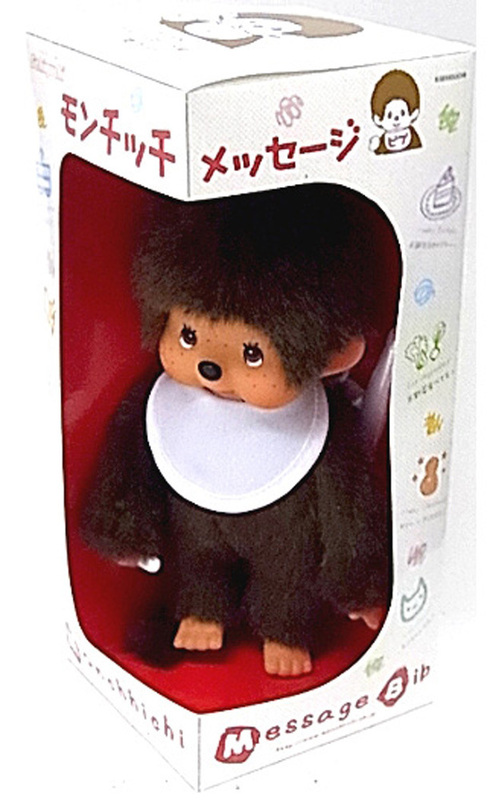 Boy Monchhichi Doll with White Magic Message Bib. Brand new in box. The Magic Message Bib is white and comes with a pen so you can write a message on the bib!